Creator of the Program, Ilana herself! Special Coach Test Group Starts May 2nd! "The 2B Mindset addresses the number one issue with weight loss and weight management — FOOD. 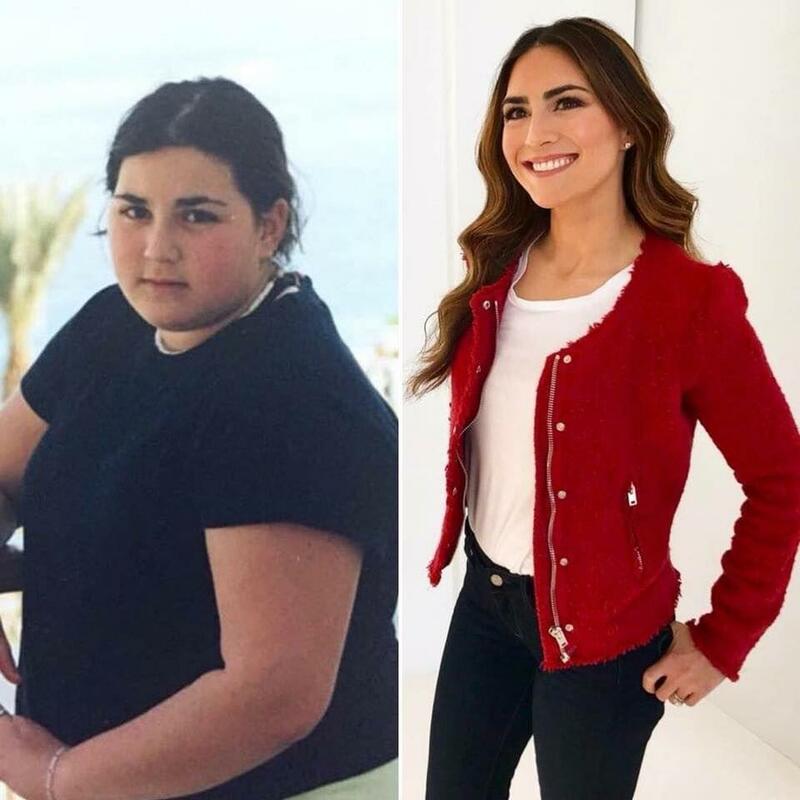 Ilana is on a mission is to help everyone she possibly can lose the weight-loss battle for good! "The system I created is a healthy approach to eating that lets you feel full and satisfied while arming you with proven strategies that will help you co-exist with food in real-world situations, satisfy cravings, and anticipate setbacks before they happen — so you can win the weight-loss struggle every single time. That’s why I say it’s not a diet. It’s a mindset. The 2B Mindset can help you lose weight — happily — without feeling deprived or hungry, without exercising, without counting calories, or cutting out whole food groups. The good news is it’s SIMPLE to follow and once you have it, you have it FOR LIFE! It’s time to WIN that battle of weight loss once and FOR ALL!!! Meet Nikki- Her starting weight was 150. Today she is 133. She Didn’t workout for the first 2 months. Nikki said: 2B Mindset has given me true food freedom. Before starting the program I was in a restrictive/binge cycle I couldn’t get out of. I had all the tools, I knew how to lose weight as I had previously lost 50 lbs but I only knew how to do it by restricting...and because my mindset was in a negative place the restriction led to binging. Since starting the 2B Mindset I haven’t once felt deprived!! I love my life, I travel, I go out to eat, I NEVER feel guilty about treating myself or missing a workout. I am eating intuitively and fueling my body with what it wants rather than eating to fill a void. I am never going back to my old life! 2B for life! Meet Tiffany! 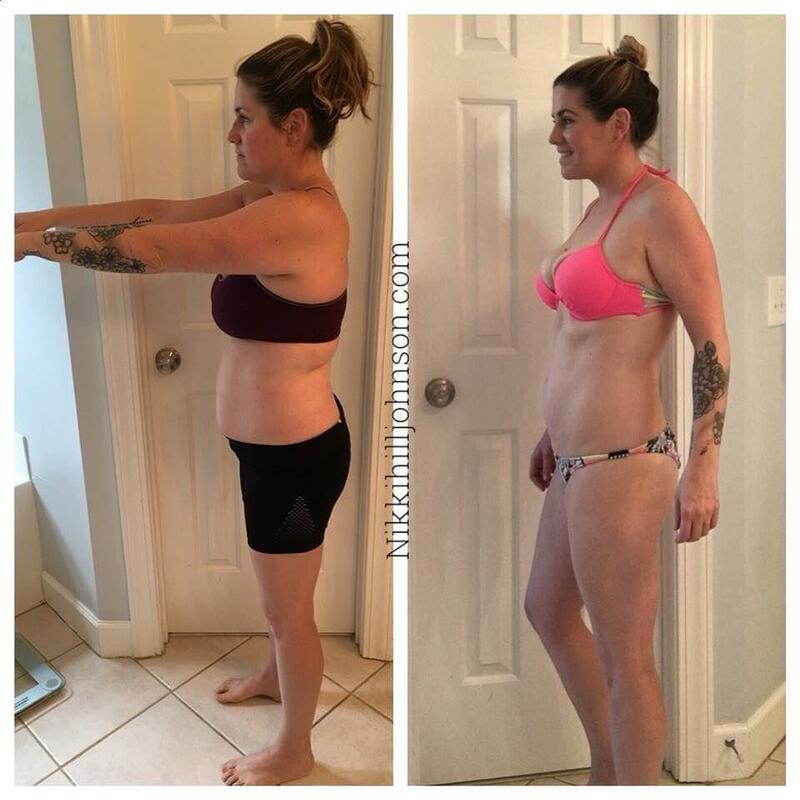 Tiffany lost 20 lbs with the 2B Mindset! Tiffany said "Before this program I thought I could either be HAPPY or HEALTHY, but not both at the same time. 2B mindset showed me that I CAN have food freedom and still lose weight. I have always felt like such a failure when it came to diets and following meal plans. I used to let one "bad meal" throw me off track and derail my progress. 2B mindset changed everything for me! Now I'm losing weight happily and keeping it off. I never have to start over. The best part? No more guilt for "cheating" on my diet!" “On 2/6/17, I started the official test group for 2B Mindset. As I reflect back to the picture on the left and where I am today all I see is growth. I remember vividly that day writing down my current weight of 168 and taking full ownership of that number. I owned it, I caused it to happen. It was my poor choices over time that caused the 30 pound weight gain. So I stopped blaming my slow metabolism, my age, my menopause, my surgery and everything else that I was using as an excuse for my weight gain. Because in all honesty, it was my mindset that caused it to happen. Owning it immediately gave me a sense of freedom. The time had come to finally STOP pointing the finger on “outside” factors and start looking within me to make the change that I so long needed. This past fall I had a bit of a health scare and the old Micki would have gone back to emotional eating but not this time! As the quote says. “Where your focus goes, your energy flows” And my focus was NOT going to emotional eating because that was not going to change the outcome. So instead I put my focus on creating more awareness of what healthy eating does for your mind, body and soul. 2B Mindset is the program that not only helped me evict 26 pounds but it’s given me a FREEDOM MINDSET!!! I can’t wait until the release of this program because it’s truly going to break so many strongholds in people’s mindset. Save over $115 compared to buying each item separately! • One FULL Year of streaming access to Beachbody on Demand when you are ready to start adding in exercise! BONUS: Start on May 2nd and get access to RD Ilana Muhlstein in a private group, ask her every question you have about emotional eating, nutrition, and food. What is the 2B Mindset™? 2B Mindset is a weight loss program and breakthrough new way of eating that will have you feeling full and satisfied instead of hungry and deprived. No more counting calories or points, measuring food, or cutting food groups. You get to eat the foods you love and live your life. You will learn what to eat and when for your body and your weight loss goals, but what makes this program really unique is that it will change your mindset and help you conquer some of the underlying reasons you've struggled to lose the weight and keep it off. 2B Mindset is designed to help you understand and conquer emotional eating, thereby helping you create a better relationship with food and your body-so you can lose weight happily and keep it off for good. When is 2B Mindset Launching? 2B Mindset launches 5/2/2018 on the Nutrition tab on Beachbody On Demand. Starting 6/4/18, 2B Mindset will also be available on the iOS Beachbody Nutrition+ App. Anyone who purchases 2B Mindset will have access to stream the program on the Nutrition tab on Beachbody On Demand, as well as the Beachbody Nutrition+ App. What is the 2B Mindset Pre-App Launch Special Promotion? From 5/2/2018 - 6/3/2018, all 2B Mindset Challenge Packs and kits will be on sale. See promo price details above. During this period, 2B Mindset will be available to stream through a web browser only within the Nutrition tab of Beachbody On Demand. Purchasers will still receive access to stream 2B Mindset on the Beachbody Nutrition+ App when the app launches on 6/4/18. Where will I find 2B Mindset? 2B Mindset is a new premium nutrition program and will be located in the brand new "Nutrition Tab" on Beachbody On Demand. The Nutrition tab will launch on 5/2 with 2B Mindset as the first program. Starting on 6/4/18, 2B Mindset will also be accessible through the Beachbody Nutrition+ App. Will there be a Coach Group for 2B Mindset? Yes, there will be an exclusive coach test group with Ilana for anyone who is a coach. This includes discount coaches. Are there any special offers available with 2B Mindset? Yes. Purchasers of 2B Mindset Challenge Packs and kits are qualified to receive a 10% discount on a 2 box pack of BEACHBARs, when purchased together. Additionally, all purchasers of 2B Mindset Challenge Packs qualify for a discount on 3-Day Refresh, when purchased together. Is the program in Spanish and French? Videos have Spanish and French subtitles. Additionally, All digital program materials have Spanish and French translations. Will 2B Mindset be available on DVD? No, there are currently no plans to release this title on DVD at this time. Can I exercise and use 2B Mindset? Yes. Exercise is not required for the program but is considered "extra credit." Can I use Shakeology with this program? Yes. Ilana recommends using Shakeology with 2B Mindset. Can pregnant or nursing mothers do the 2B Mindset program? 2B Mindset is a weight loss program. Since pregnant mothers should be gaining weight and not losing weight, it is not advised that they follow 2B Mindset during pregnancy. For breastfeeding mothers, La Leche League International advises to wait at least two months before making any drastic effort to lose weight in order to allow your body to recover and ensure a steady milk supply. Keep in mind that breastfeeding women may naturally lose one to four pounds per month simply due to the amount of energy required to nurse in the first place. Does the 2B Mindset nutrition plan use Portion Fix containers? No. There are no containers used. What digital tools are included with 2B Mindset? There will be digital resources, including food lists, trackers, recipes and more available when you purchase the 2B Mindset. Additionally, all the printed program materials you receive with a 2B Mindset Challenge Pack or kit (i.e., Getting Started Guide, Go-to-Guide, etc.) are available digitally. Can the digital program materials be downloaded? Yes. 2B Mindset customers can view and download the digital program materials. Is 2B Mindset included with Beachbody On Demand Membership? 2B Mindset is a premium nutrition program and will not be included with a standard Beachbody On Demand Membership, so to get access to 2B Mindset, you must purchase it separately or as part of a challenge pack. Additionally, a Beachbody On Demand membership is not included with a 2B Mindset standalone purchase. It is also not required that a Beachbody On Demand subscription be purchased in order to access the 2B Mindset program. Will there be a tracking app? Yes. Launching 6/4/2018, the Beachbody iOS Nutrition+ App will include tracking for 2B Mindset. The tracking will integrate with My Challenge Tracker. What supplements are recommended for this program? Can the 2B Mindset program videos be downloaded and watched offline?